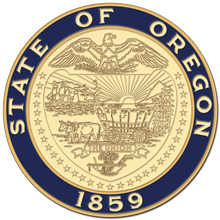 Salem, OR—Governor Kate Brown will sign Oregon's net neutrality bill into law this Monday at Mount Tabor Middle School in Portland. HB 4155 mandates that public bodies in Oregon only contract with internet service providers that operate under net neutrality, which requires internet service providers to enable equal access for all web traffic, regardless of the source. "The internet has democratized knowledge and is an invaluable tool for education. It's so important that it remains open and accessible for everyone," said Governor Brown. "In Oregon, we want to make sure that access to the internet is a level playing field, instead of exacerbating economic disparity." Members of the media are welcome to attend. Those who plan to attend or need additional information should contact Kate Kondayen at kate.kondayen@oregon.gov or 503-689-0248.